Some might think that the "stanced" look is pretty cool, but the reality is that a misaligned vehicle can cause major inconvenience and discomfort--and it can be expensive and dangerous, too. For a limited time, bring this coupon to Nate Wade Subaru to get an all-wheel alignment for just $99.95! Our technicians will adjust the camber, caster, and toe as necessary to make sure that the wheels are pointing the right way. If your Subaru isn't properly aligned, your drive will become more tiring as you make constant small adjustments. The tires will wear down unevenly, making it necessary to change them sooner. You can even put yourself in danger, as it's much easier to accidentally steer into a curb or oncoming traffic. Make sure you're ready for all your driving this season with savings on an all-wheel alignment, available now at Nate Wade Subaru. Nate Wade Subaru is the place to go when your vehicle needs maintenance or repairs. Our state-of-the-art service center is staffed with expert technicians who know your Subaru like the back of their hand. They'll use genuine OEM and Subaru-approved parts, fluids, and filters so your Subaru will retain its impressive high quality. What's more, we offer regularly updated specials like this one to help you save even more on your next Subaru service. Our service center is a comfortable place to wait, or you can take advantage of our free service shuttle if you need to get around. And when you bring your Subaru in for service, we'll throw in a free car wash! 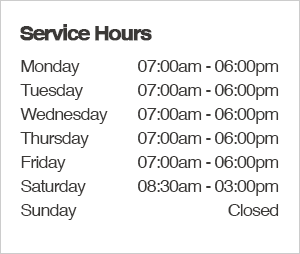 Use our Subaru Express Service for certain specific services, or contact us today to schedule your appointment. We look forward to serving you at Nate Wade Subaru.